The next step will be that all links about Crypto's will be blocked! It will contain all Steemit links of course, what means all the Steemit facebook groups will be useless. But every bad news has its good side! Google+ has a huge advantage over facebook, the links we post there have a much higher value in the google ranking which will quickly lead to an even better ranking of Steemit on google than it already is. 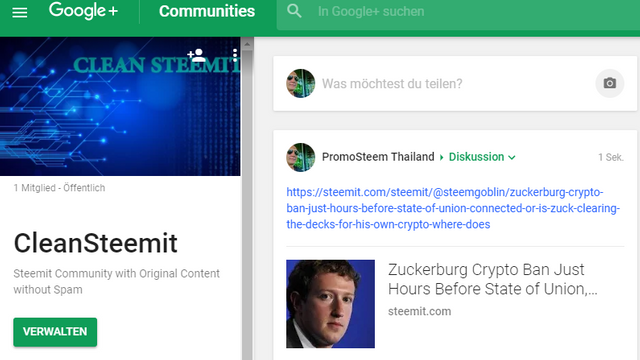 Everyone who values original content is very welcome to join our google + community CleanSteemit! I say welcome to our Google+ community CleanSteemit. Oh hallelujah! Not many more reasons left to dump facebook and Suckerborg for good. Now I am that much closer! Whether he did or didn't (as accused in the OP), as much as I've enjoyed the journey... it's almost over! I found this on the subreddit today! This is an amazing idea! Zuck is stupid for blocking this because it's going to make people even MORE interested in crypto! Wew lawd, 2018 is going to be a fun year! The Zuck would be a huge Rage Quitter in gaming! I just read the Forbes post--it showed the original FB post and all it talked about was advertising for bitcoin. It never mentioned banning steemit posts. Can you provide more data please? Right now your post implies that FB is banning steemit posts in general, That seems to false as far as i can tell. 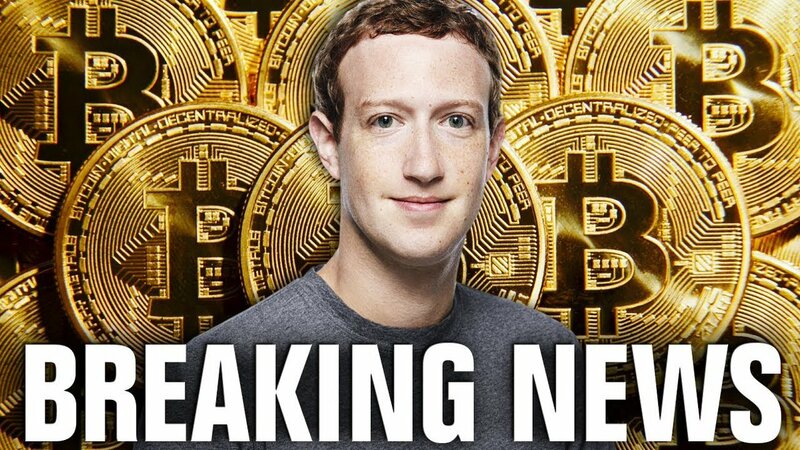 You can be sure it will come, facebook did the same with other networks in the past, but these were not so dangerous to them like Steemit now. And facebook will not make an announcement before. Probably not a good idea to make baseless claims and over sensationalise the fact that Facebook wants to ban Bitcoin and ICO advertising. They are clearly doing this to protect people from scams and fraudulent activity. But who cares right? Making up false news and spreading rumours will help build your Google+ group. And if you would have read my post conscientious, you would understand I talk about the future "the next step will be" "gonna" , so please don't call it False News and Rumours. That's not a kind way. I like the new profile picture. Ive been spending less and less time on facebook. Theres so many reasons for it. I'm constantly overwhelmed by messages and requests that don't interest me. I've also come to terms with the fact that all of my data is being stored and I'm not benefiting from adding content to their platform what so ever! They also charge me if I want to "boost" a post. It's actually kind of ridiculous. I'm getting closer to deleting it and posts like this is pushing me more into that direction. Thanks for sharing @zanoni. Hope to get more updates from you. Please stop spreading misinformation and fear. He is not banning Steemit... He is banning ADS because of scammy ICOs. Only ads. better read my post careful, ok?